The objective of this paper is to find the optimum combination on different machining characteristics during electrical discharge machining process of Al-12%SiC Metal matrix composite. Central composite design (CCD) method is used to investigate the effect of three process parameters such as peak current (Ip), pulse on time (Ton), flushing pressure (Fp) on the four response parameters like Material removal rate (MRR), Tool wear rate (TWR), Radial over cut (ROC) and Surface roughness (SR). The multiple objective problems of machining characteristics are optimized by a combine approach of Technique for order preference by similarity to an ideal solution (TOPSIS) and entropy weight measurement method. The Analysis of Variance (ANOVA) is implemented to identify the statistically significant of the Closeness-coefficient results. Finally confirmation test is conducted to compare the experimental data and the predicted data at its optimum parameter to identify the effectiveness of the proposed method. In the past, researcher are employed various optimization technique to improved the machining characteristics during the EDM process. Hung, Yang, and Leong (1994). in their study described that aluminium alloys are light weight in compare to monolithic material when it is reinforced with SiC to form an aluminium metal matrix composite. Ji et al. (2012) expressed their view that Al-SiC composite is one of the advance composite material that posses superior physical and mechanical properties in compare to other conventional material. 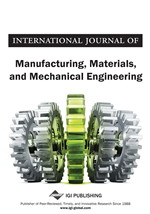 Patel, Pandey, and Rao (2009) studied about the machining characteristics, surface integrity and material removal mechanism of Al2O3–SiCw–TiC ceramic composite during EDM. They found that surface roughness increases with discharge current and pulse on time as well as it provides the key information on the mechanisms of formation of recast layer. Dhar et al. (2007) conducted an experiment during EDM process, in which pulse current, pulse duration and gap voltage are selected as process parameters that affect material removal rate, tool wear rate, radial over cut and surface roughness of Al–4Cu–6Si alloy with 10 wt.% SiC composites. They stated that material removal rate, tool wear rate and radial over cut are increased significantly with current. Also the mathematical model equations are developed to predict the optimal conditions suitable for the selected model. Karthikeyan, Narayanan, and Naagarazan (1999) used the three level full factor design to developed the mathematical models for the responses like material removal rate, tool wear rate and surface roughness using the process parameters such as current, pulse duration and the percent volume fraction of SiC during the EDM machining of LM25 aluminium-SiC metal matrix composite. They concluded that material removal rate is decreases with increase in the percentage volume of SiC, while the tool wear rate and the surface roughness are increases with an increase in percentage volume of SiC .Also the model significance is checked and analyzed by ANOVA.Mohan, Rajadurai, and Satyanarayana (2004) conducted an experimental study by using rotary EDM with hollow tube electrode to drill Al6025-SiC composite. They found that material removal rate is higher in rotating tube electrode in compare to solid electrode. Furthermore explained that the increase in percentage of volume SiC, the material removal rate and surface roughness are decreases but electrode wear rate is increases.